After reading Eleanor and Park I quickly became a fan of Rainbow Rowell, so I went out and bought some of her other books. In particular I wanted to read Attachments as I remembered reading the blurb and I had found it so interesting that it was instantly added to my to read list. 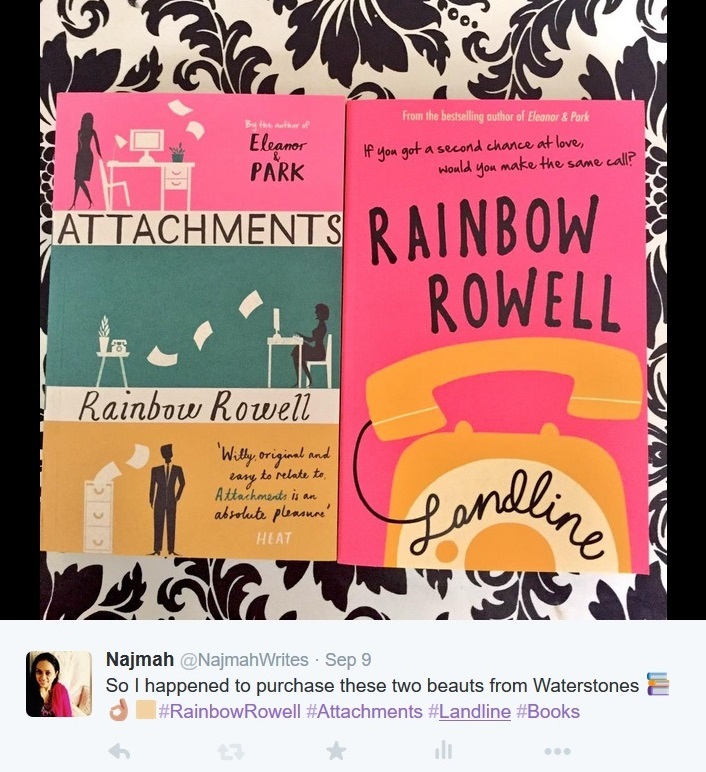 Attachments by Rainbow Rowell is a delightful, unusual yet a very cute love story. The story is set in 1999 (early 2000), when the internet is still quite new. Two colleagues, journalists – Beth and Jennifer work at the newsroom called The Courier, exchanging e-mails sharing every smallest details happening in their personal lives. Lincoln, a lonely guy working in computer security reading through other people’s e-mails and reporting on any using inappropriate language. He knows he should report them but he sees Beth’s and Jennifer’s e-mails as a pleasant distraction. Before long it is too late for introductions, as he realises he has fallen for one of them . . . I won’t ruin it for guys, so you will just have to read it to find out who Lincoln falls in love with and if they end up together? While reading this book, I liked how the story gave me a nostalgic feel of the 80’s, 90’s and there is only one other book that has managed to do that which was Eleanor and Park. On the whole, Attachments was a fantastic read portraying how two people can fall in love without having met, which I don’t think is really possible but one can dream, right?